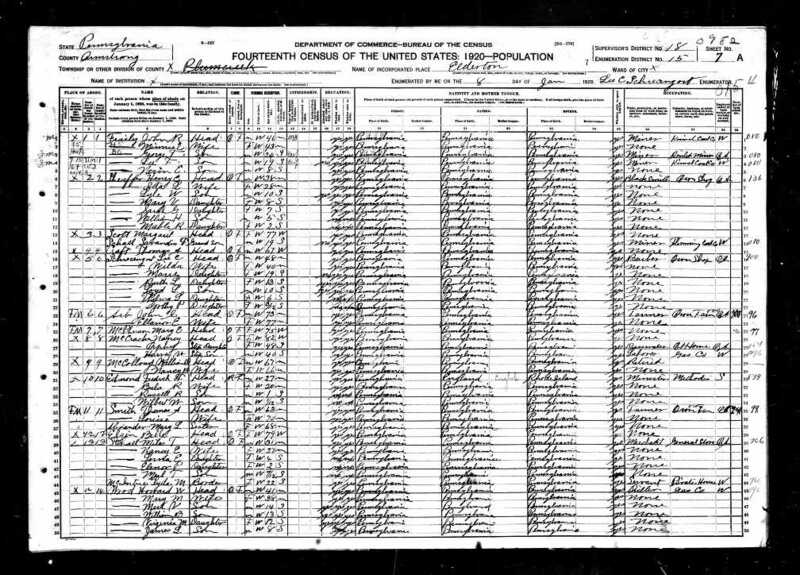 One of the problems with genealogy is that we become so focused on moving back that we sometimes fail to take the time to look at an individual life. Often there is little documentation for a particular individual and their importance to us is passed over in search of a relative who “did something.” It is common for all of us to be excited by the ancestor who served in one of the wars, or had a special standing in his community. Those folks interest us so much because “doing something” usually means there are documents to follow. But, the simple fact is that most of us are descended from men and women who simply worked hard and lived good, if unspectacular, lives. Daniel Olinger and Hannah Yount are two of those rather ordinary people for their time, and yet they were amazing people. Daniel was born 20 September 1811, and Hannah Yount was born 25 December 1808,1 both in the Kittanning area of Armstrong County. More on the children and their marriages later. I found no obituary or death notice for Daniel Olinger. The date of his death was provided by Viola in her notes. Daniel and Hannah are two people born before the War of 1812, who raised ten children, and lived through the upheaval and horror of the Civil War. They were born when the nation’s fourth president, James Madison was in office, and Hannah died while Theodore Roosevelt was in office – he was the 26th president. They cleared their own land, planted their own food, and carried their own water. Their lives may not have been as exciting as others may in this line, but they were no less extraordinary. There were two death notices for Hannah. Mrs. Hannah Olinger, died at her home in Elderton on Nov. 22, aged about 101 years. She was the oldest woman in this part of the State, and she had lived in Elderton since 1834. Up until several years ago she went, about at will. Nine children survive. Mrs. Daniel Olinger died suddenly November 22 at the home of her daughter, Easter Ann Olinger at Elderton, aged almost 100 years. Mrs. Olinger was born on Christmas, 1808, and all her life has been spent in the community near Elderton, where her daughter and two sons, Dan and Thomas, live. The other son, Aaron, is a resident of Kittanning. The obituaries are interesting in the confusion they create. In the first obituary, it states nine children survive. Daniel and Hannah had ten known children, but I could only find eight confirmed alive at the time of Hannah’s death. Oldest son, David died at age 16. 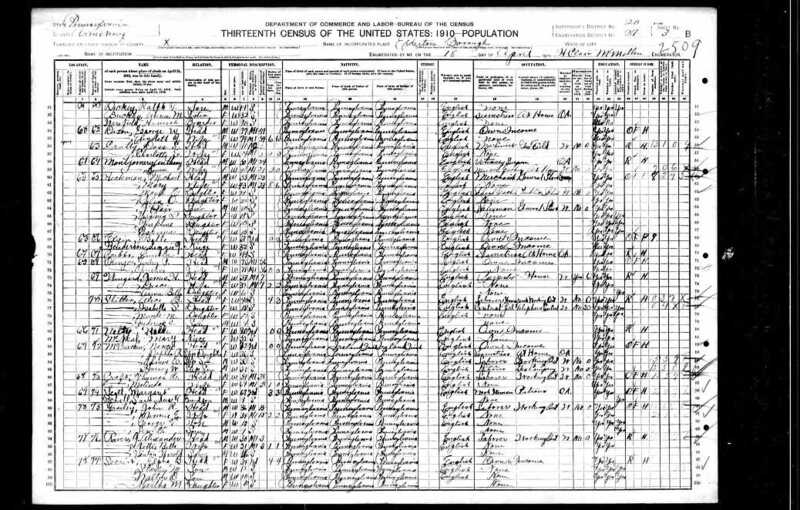 Daughter Caroline’s death date is still a mystery to me, although her husband lists himself as a widower on the 1900 census. In the second obituary only four children are named. 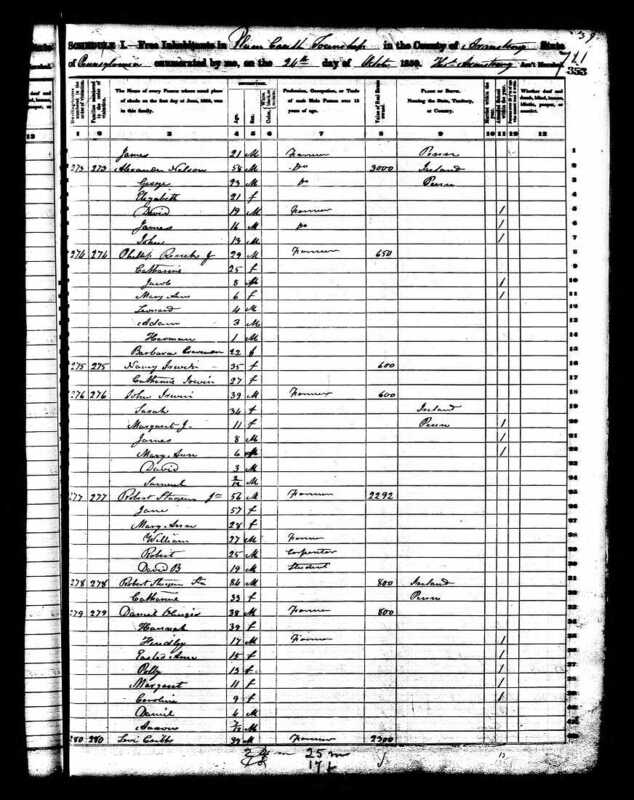 The other four (five if you count Caroline) are not mentioned even though two of them (Margaret Olinger Scott and Findley P.) lived in Elderton, not far from their mother. The next post will be what I know about Daniel and Hannah’s children. 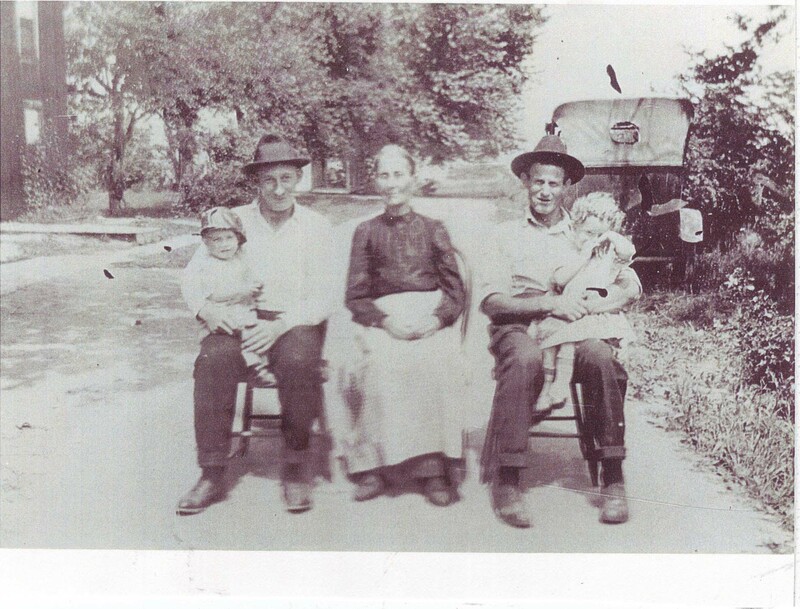 Then tombstone pictures before moving back a generation to Adam and Anna Maria (Yount) Olinger. 1. 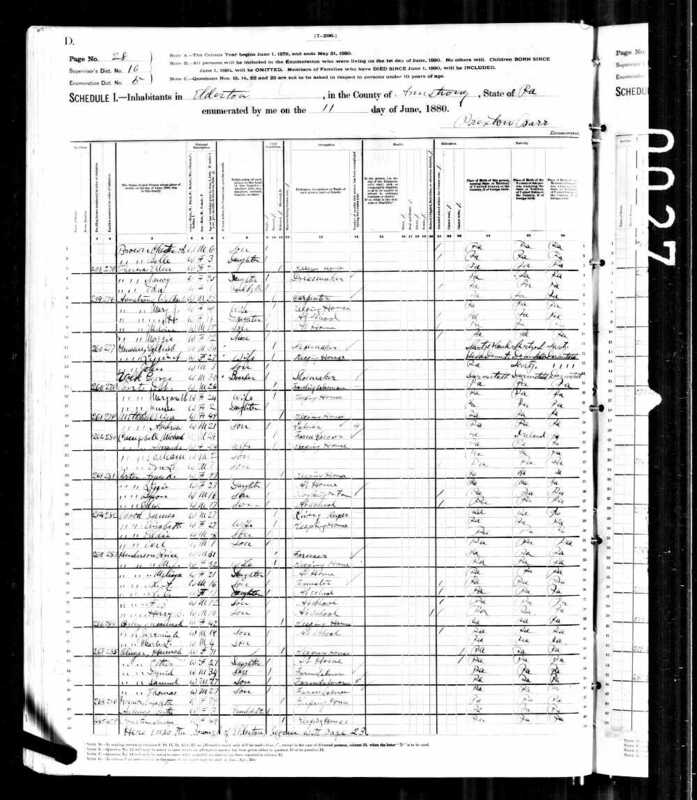 Pennsylvania Department of Health, death certificate 104508 (1908), Hannah Olinger; Division of Vital Records, New Castle. 3. 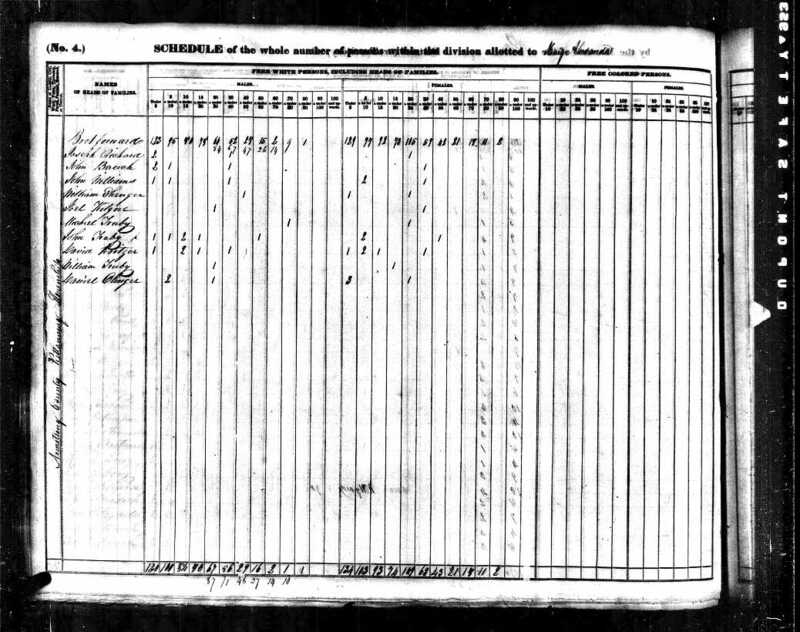 1840 U.S. census, Armstrong, Pennsylvania, Kittanning Twp., p. 173, line 10, Daniel Olinger; digital images, Ancestry (http://www.ancestry.com : accessed 24 Jan 2012); citing National Archives and Records Administration microfilm M704, roll 442. 5. 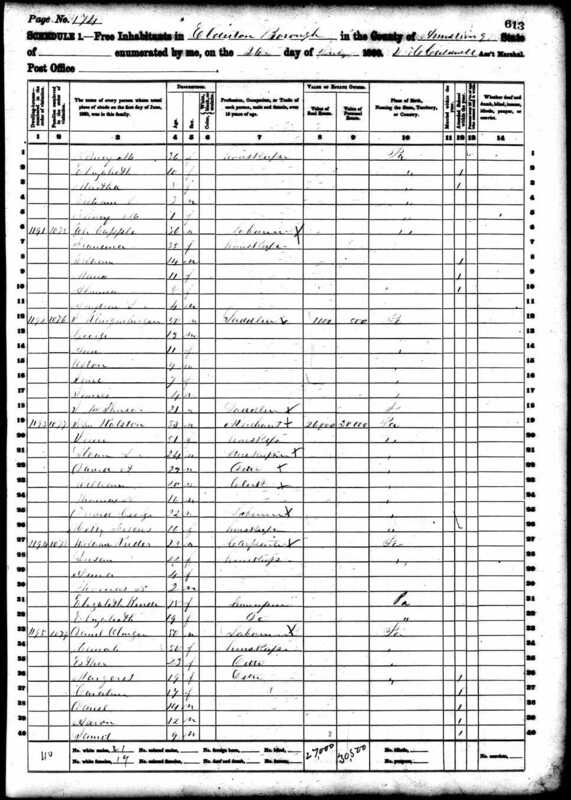 1860 U.S. census, Armstrong County, Pennsylvania, population schedule, Elderton, p. 613, dwelling 1195, family 1079, Daniel Olinger; digital images, Ancestry (http://www.Ancestry.com); citing National Archives and Records Administration microfilm M653, roll 1069. 6. 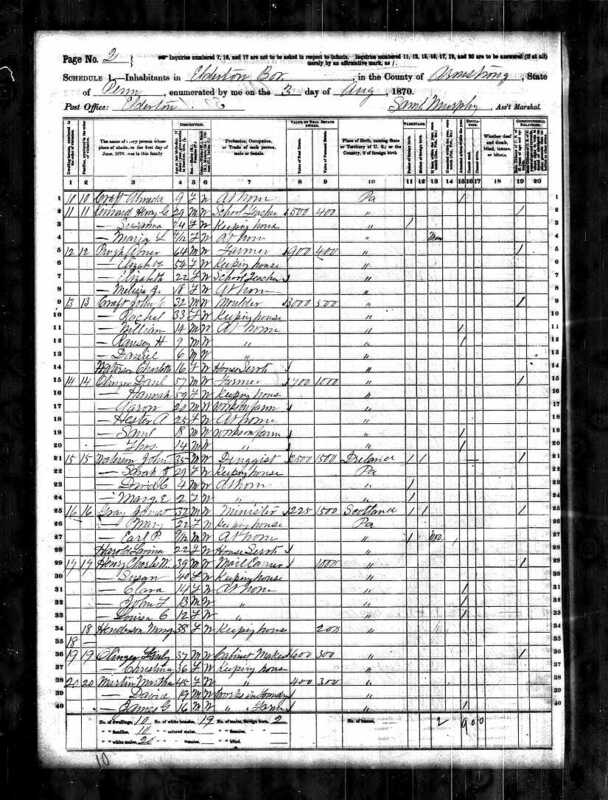 1870 U.S. census, Armstrong County, Pennsylvania, population schedule, Elderton, p. 372, dwelling 14, family 14, Daniel Olinger; digital images, Ancestry (http://www.ancestry.com); citing National Archives and Records Administration microfilm M593, roll 1301. 7. 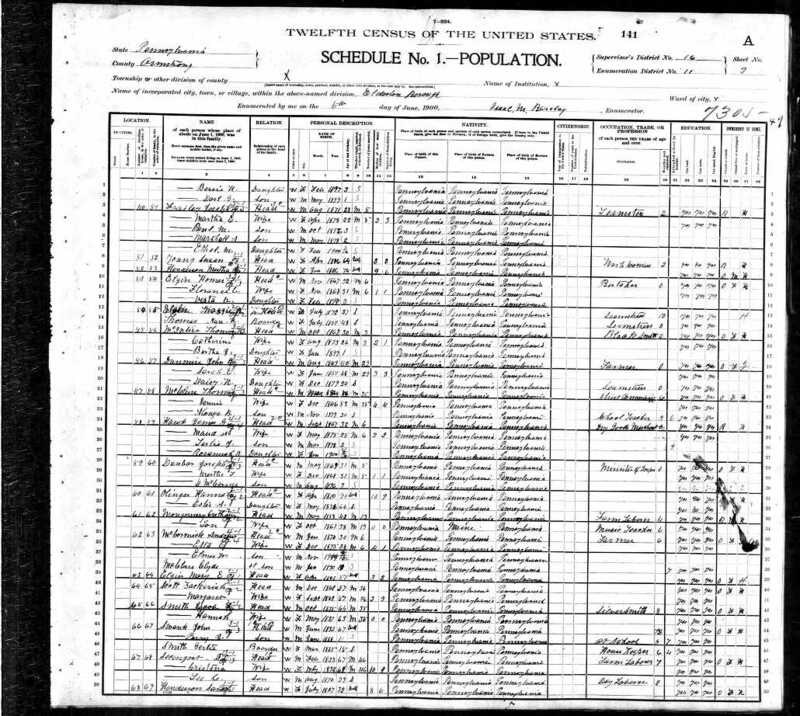 1880 U.S. census, Armstrong County, Pennsylvania, population schedule, Elderton, enumeration district (ED) 5, p. 123, dwelling 267, family 285; digital images, Ancestry (http://www.Ancestry.com); citing National Archives and Records Administration microfilm T9, roll 1096. 8. 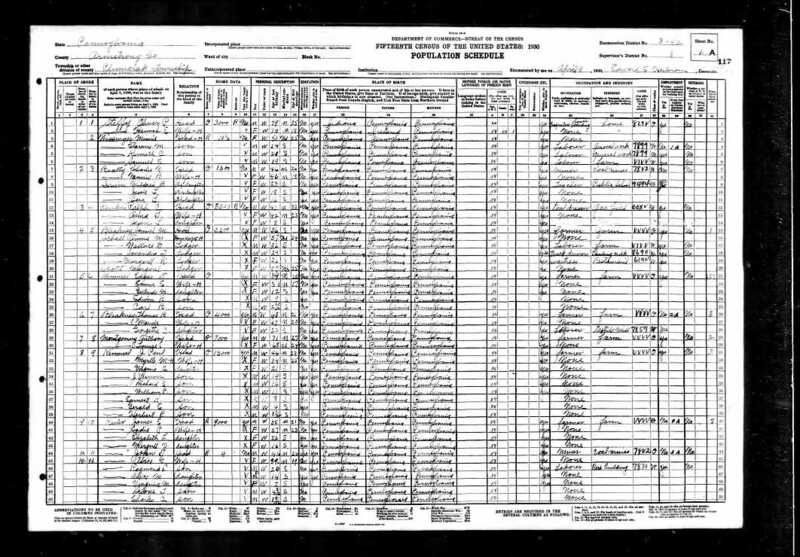 1900 U.S. census, Armstrong County, Pennsylvania, population schedule, Elderton, enumeration district (ED) 11, p. 3A, dwelling 60; digital images, Ancestry.com (http://www.Ancestry.com); citing National Archives and Records Administration microfilm T623, roll 1373. 9. Pennsylvania Department of Health, death certificate 104508 (1908), Hannah Olinger; Division of Vital Records, New Castle, Pennsylvania.